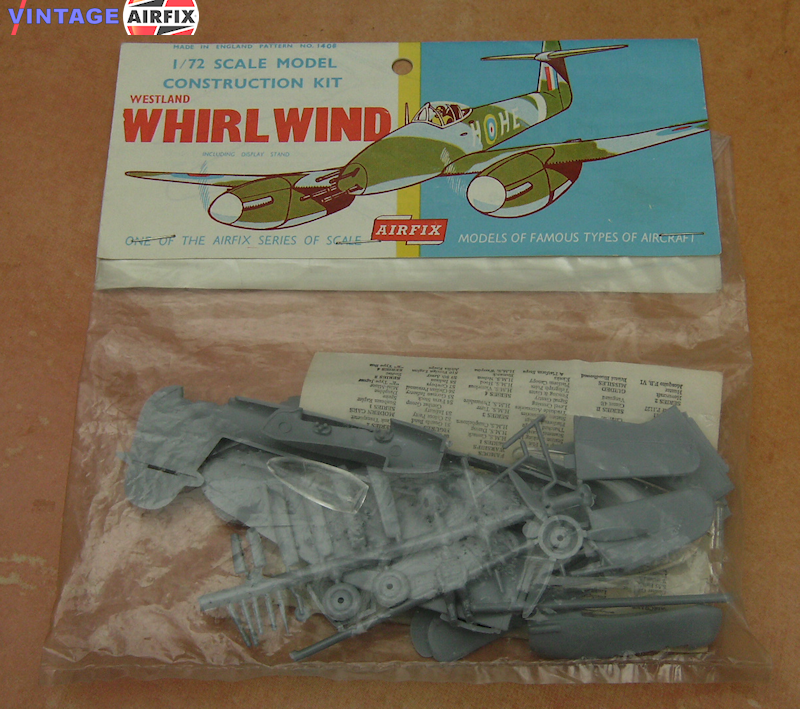 The 36 parts of this Airfix kit produce a detailed model of the Whirlwind, a single seater twin engine fighter used by the R.A.F. at the beginning of the last War, the existence of which was kept secret until 1942. The plane was used as a fighter-bomber in the R.A.F. operating over Northern Europe in the earlier part of the War.